Costa Blanca refers to approximately 200 kilometers / 120 miles of Mediterranean coastline that extends from Denia in the north stretching down to Pilar de la Horadada in the south where this borders the Costa Calida in the Murcia Region. Costa Blanca translates to ‘White Coast’ and was initially given this name by BEA (British European Airways) now part of British Airways in 1957. Costa Blanca was the promotional name used when the airline launched their new route to Valencia back in the late fifties at the grand cost of £38.16 shillings. In today’s new money this would equate to somewhere around £800.00! The Costa Blanca has two distinctive areas, Costa Blanca North and Costa Blanca South. 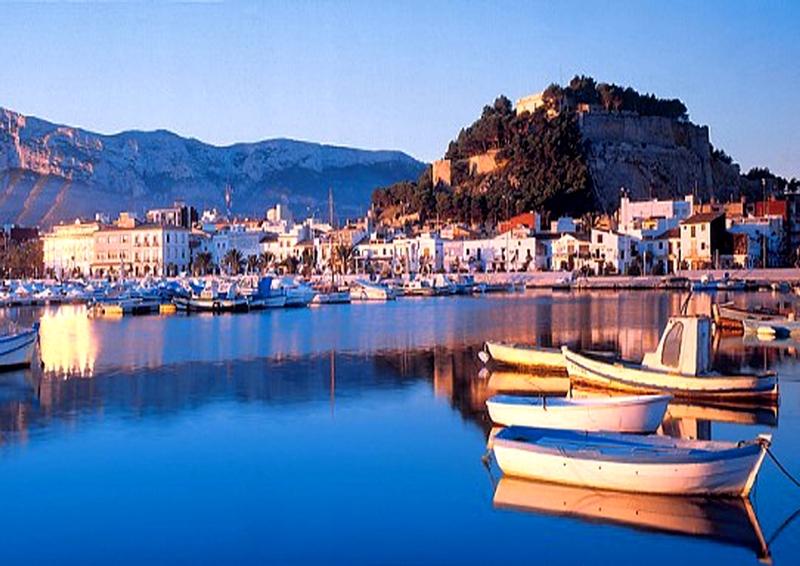 The Northern part of the Costa Blanca features seaside towns and resorts such as Dénia, Jávea and Moraira to the far North. Further south, bigger more bustling resorts like Altea, Calpe, Benidorm, Alicante and Torrevieja attract millions of tourists annually. Travelling to the Costa Blanca is very easy from the UK with the option of three international airports, Valencia, Alicante and San Javier Murcia, which are served by some of the national airlines including all the main budget operators. Furthermore the region is connected to the high speed European railway system in addition to having an excellent motorway and general road network. For the more adventurous the channel tunnel offers fast convenient driving access to mainland Europe or ferry crossings are available from Portsmouth, Plymouth and Dover to either northern Spain or France. The Costa Blanca enjoys a typical subtropical mediterranean climate, with cool sea breezes in summer and protection by surrounding mountains against the cold north winds in winter. The area averages 2,700 hours of sunshine each year and the average annual temperature comfortably exceeds 20 degrees. In 1986 the World Health Organisation recommended the climate of the area as one of the most equitable in the world – neither too hot in the summer nor too cold in the winter. On average it can boast 325 sunny days each year making it an ideal all year round destination. White sandy beaches, warm mediterranean climate, a slower healthier pace of life, cheaper cost of living, easy accessibility to and from the UK and very affordable property prices all contribute to consider the Costa Blanca as an ideal place to permanently live, holiday home or retire.